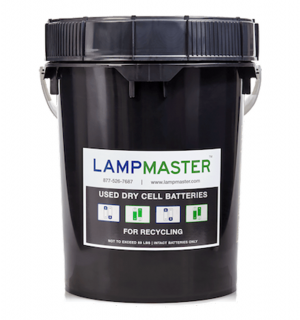 LampMaster’s 5 Gal Dry Cell Battery Recycling Kits hold up to 69 Pounds of Alkaline, NiCd, or NiMH Batteries. 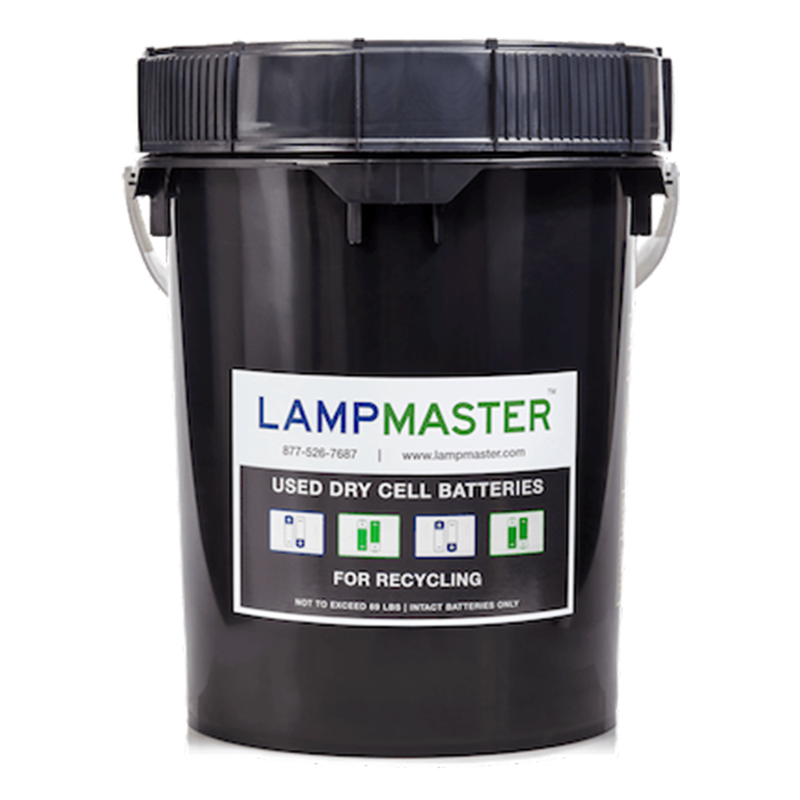 The LampMaster Dry Cell Recycling Kit 5gal is a great option for used alkaline battery collection. Whether you work in education, healthcare, corporate, industrial or a residential setting, LampMaster has a recycling solution for you. 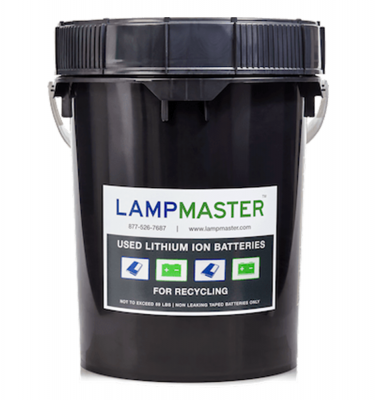 The LampMaster Dry Cell Battery Recycling Kit 5gal is the perfect product to promote used battery collection and recycling. In locations with high battery turnover, the addition of a 5 gallon LampMaster battery collection container is a smart choice that creates a positive environmental impact! With the purchase of the 5 gallon LampMaster kit for Dry Cell batteries, you are ensuring that up to 69 lbs of alkaline, Nickel Metal Hydride, and/or Nickel Cadmium batteries will not enter our environment’s landfills and instead will be disposed of properly. Depending on the battery, these have the potential to release harmful materials such as caustic potassium hydroxide, nickel, or the toxic heavy metal cadmium. Recycling these batteries will also allow for the reuse of metals such as zinc, manganese, and steel. If our 5 gallon kit isn’t the right size for your needs, we offer dry cell battery recycling kits in both a 1 gallon and 2.5 gallon pail.